The person who says something is impossible should not interrupt the person who is doing it. In the context I found it, the expression was an answer to naysayers who criticize a project or goal while the yet-impossible task is being accomplished. As mankind’s creativity, communication, and knowledge grows, things that were impossible are becoming reality every day. The proverb has meaning in the Christian experience too. God does the impossible, has done the impossible, and will do the impossible. 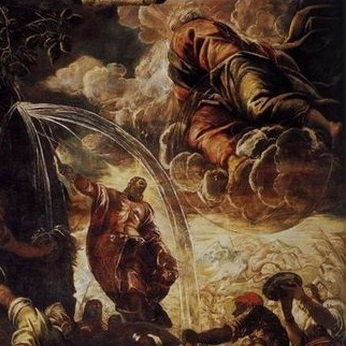 The scriptures are full of stories of impossible things happening, such as Moses striking a rock and water coming forth. Jesus worked miracles. His disciples worked miracles in His name after his ascension. What impossible things have you undertaken? What impossible things does God ask of us that we cannot see working out or happening? If we believe the Gospel, if we accept the Bible’s teachings as true (hence using the title of Christian) then we should expect the impossible to happen – even big miracles. But it seems we have even lost the faith and the hope for small miracles and wonders. We fear tithing because we may not have enough money to pay our bills, when it is God, not our own labor, that provides for our families (Psalm 127). We fear to speak out against wrongdoings and evil, because we fear reprisals. But we have been given power even over evil spirits in the name of Christ (Luke 10:17). What are we missing out on – what are we denying the world because we think something God asks is too much, too impossible to be real? We should not interrupt He who is doing the impossible.